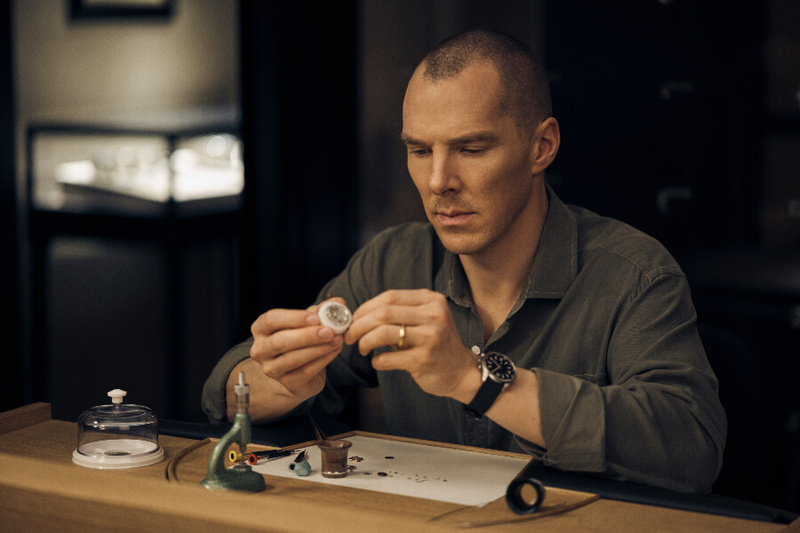 British actor and Jaeger-LeCoultre brand ambassador Benedict Cumberbatch recently enjoyed a private watchmaking masterclass at London’s Jaeger-LeCoultre flagship store. 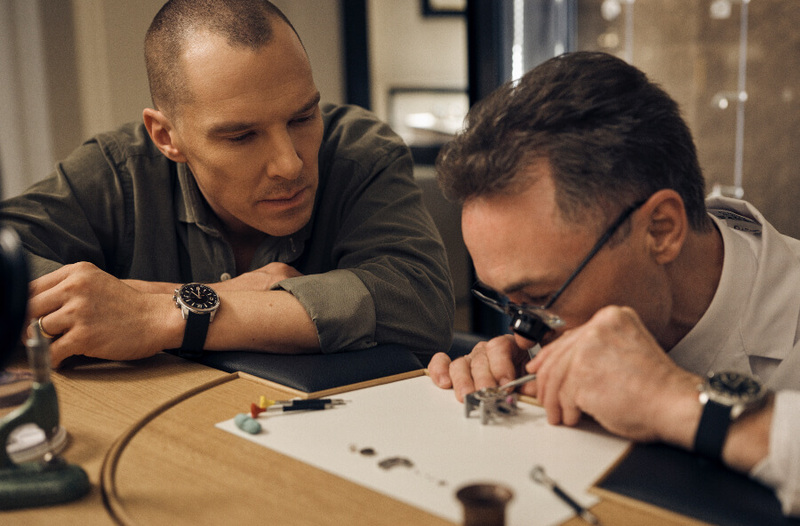 Benedict Cumberbatch began by observing one of Jaeger-LeCoultre’s longest-serving watchmakers Richard Phipps-Carter as he dismantled a Jaeger-LeCoultre 925 movement. 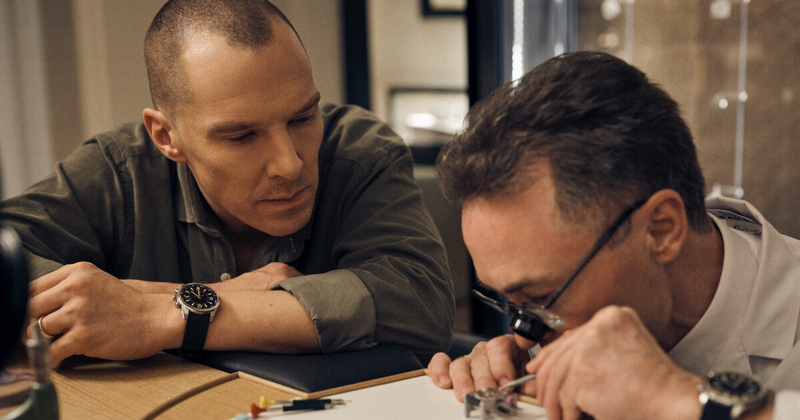 Phipps-Carter, who originally joined the company 31 years ago, then guided Benedict Cumberbatch through the numerous, intricate steps involved in assembling a movement’s components with the help of traditional watchmaking tools, while Benedict Cumberbatch attempted to perform some parts of this exceptionally demanding process for himself. 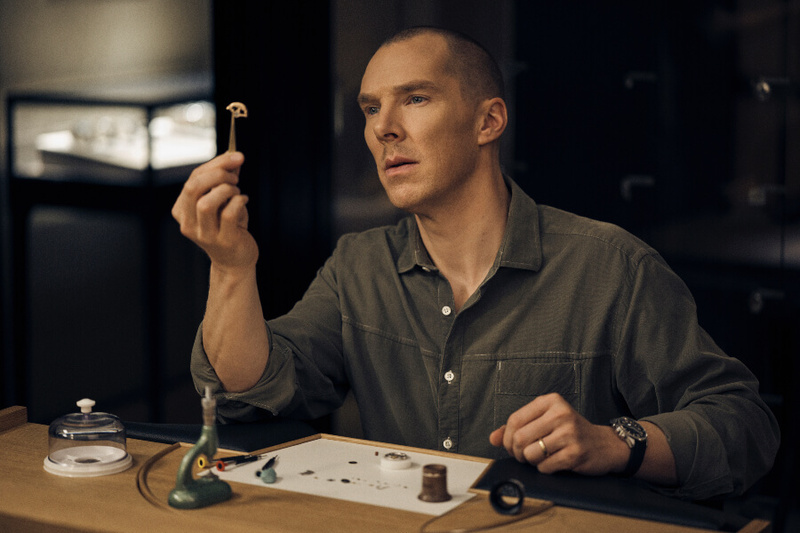 In a series of intimate photographs taken during the masterclass, Benedict Cumberbatch is seen sitting on the watchmaker’s workbench examining watch parts up-close with the naked eye, including the oscillating weight of the Master Ultra Thin Moon Caliber 925. He later admires a selection of Jaeger- LeCoultre calibers displayed behind a glass wall cabinet in the store. Benedict Cumberbatch wears the Jaeger-LeCoultre Polaris Memovox, a watch originally inspired by its iconic 1968 predecessor and available in a limited edition of 1000. 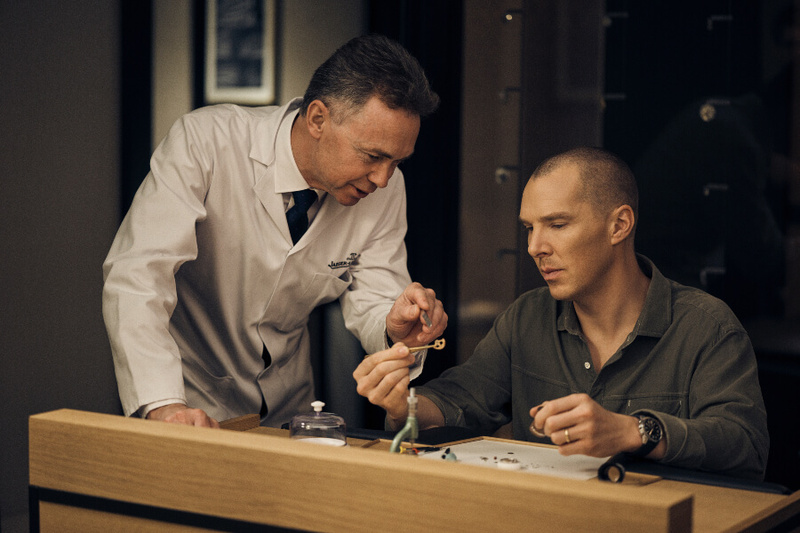 In 2019, as Jaeger-LeCoultre focuses its attention on the art of precision - a 186 year history of visionary watchmaking and world-firsts in the Swiss Jura mountains - Jaeger-LeCoultre is thrilled to have hosted Benedict Cumberbatch for a bespoke watchmaking masterclass, where he experienced first-hand the extraordinary dexterity, precision and patience that is required of Jaeger-LeCoultre’s watchmakers, both men and women, on a daily basis. Many of the components found within the beating heart of a Jaeger- LeCoultre movement are so miniscule that if they are not viewed through the lens of a microscope, they could easily be mistaken by a lay person for specks of dust. The diameter of some movement components is, staggeringly, just a millimetre or in some cases a micron, which is a millionth of a metre. Every single Jaeger-LeCoultre watch is designed, produced and assembled In the Jaeger-LeCoultre manufacture bordering the Swiss Jura mountains, the home of 180 specialist skills, 1250 calibers and 400 patents. The serene backdrop of the Jura mountains has bestowed generations of watchmakers with the clarity of mind to conceive possibilities others have never dared imagine, while remaining dedicated to timekeeping accuracy, infinitesimal detail, top-flight craftsmanship and sheer beauty every step of the way.